A few weeks ago, my morning ritual was simple. Wake up to sunshine beaming through the window, heating up the already mild ambient temperature. Pull on shorts and a jersey, and pedal off to work. High pressure height of summer. Summer is freewheeling into autumn though. An unseasonably chilly couple of weeks have led to a few misjudged shorts and jersey commutes with cold knees and blue hands. Equally, when leg and arm warmers have been deployed on the way into work, they’ve been stuffed into my bag for the way home, once the day has warmed up. Gilets have been zipped up on setting out, only to be stripped off after half an hour, to be replaced in a rain shower minutes later. The wind has swung round from the south to the north, bringing a biting crispness – a wearing solidity. Hard. Early starts are accompanied by blinking LEDs, flashing out a rhythm that sleepy legs can’t keep pace with. Summer isn’t over yet, but it is leaving quicker than I can keep up. Sitting completely still, nothing really aches. Moving my stiff fingers to type offers the subtlest of reminders of the rough, rooty course at Minley Manor for 12:12 Torq in your Sleep. The tops of my shoulders, and lower back have similar low-level aches. Grazes on my legs and shoulder (oops) pointedly remind me that branches and the ground are harder than I am. Every now and then I wipe my eyes and a bit of congealed dust comes away. My legs. Well, considering I’ve not ridden for 12 hours for a very long time, my legs feel remarkably good. In fact, my legs would feel worse had I been out for a hard couple of hours on the road bike. They do feel used though. Warm, gently stiff, weak. Occasionally muscles twitch as if I’m still riding. This is not a list of complaints. Far from it. I’ve missed this feeling; I’ve missed the warm, foggy-headed afterglow. I’ve missed feeling like I’ve earned my exhaustion through physical (and mental) effort. I’ve rediscovered an insatiable appetite, with the added bonus of guilt-free eating (at least for the rest of today). I settle into the Tom-shaped depression in the sofa and enjoy my rest. The only real objective for the 12 hours was to finish. Ride conservatively, and keep plodding. No thoughts on placings, no delusions based on previous fitness. I settled into a relatively high position at the start line. I hadn’t pre-ridden the full course, but of the sections that I did see there was lots of tight, twisty singletrack. Amazing for riding, but not good for passing slower riders. That nearer-the-front start allowed me to race the first lap at roughly my own pace, without the inevitable stop-start traffic jam further back. I probably went a bit too quickly on the first two laps, but it was a course that encouraged and rewarded speed and conserved momentum. It was bloody fun. Jinking between trees, manualling through hollows, bunny-hopping roots. Settling down and finding an enduring pace was difficult. As my body started to fatigue, I was less able to hop the roots, I carried less speed into corners, and even less out the other side. The twisting nature of the course meant that I was always trying to slow down or speed up, with very few opportunities to just sit and pedal. For the most part, even the climbs were short-sharp lung busters rather than steady drags. I also had to be careful to take on energy at specific points on the laps, making the most of a couple of hundred metres of forest tracks here and there. Each lap meant another visit to the pits. Garage Bikes had a huge representation, given that the race was several hours drive from Leeds. A team of four, a pair and two other soloists all sported the satsuma jerseys, and did them proud. We also had three dedicated pit helpers. It makes a world of difference for someone to do your thinking for you, swapping bottles, reminding you to eat, offering a few words of morale-boosting encouragement. Special thanks to Vikki for being utterly lovely and taking care of me, Daz for the man-hugs and Al for being Al and giving me the reassurance that if I needed any mechanical help, he’d be there. Usually, I’d go for a grab-and-go technique at the pits, aiming to spend no time there at all until lights-on time at 7pm. But, in an effort to force myself to pace my efforts, I deliberately stayed for a few minutes, took the time to eat something solid while standing still, then headed off. As the light started to fade, my first major mishap took place. Pumping through yet another bomb hole, I felt my bars rotate in the clamp. Presumably a symptom of the constant vibrations of the course. Disconcerting, but nothing a quick nip-up with an allen key wouldn’t fix. Unzipping my seat pack, I quickly realised that my multitool wasn’t there. In fact, I could picture it sitting in my pit-box waiting for me, five miles away. Fucksticks. Not much for it, other than to carry on, tentatively. Gradually, the bars were becoming looser and looser, and I was having to concentrate all of my mental efforts in to balancing them in a roughly sensible position. This was compounded by the now full darkness, meaning that any rotation of the bars lead to my light pointing either straight down, or in my eyes. 3 slow, frustrating, worrying miles passed until I got to the DJ under the bridge. Not only was he banging out some quality tunes, he had an allen wrench and nipped up my now comically loose stem bolts, before offering me a slice of cake. I could have hugged the man, but after 8 or so hours of dusty racing, I think it would have been a little unfair on the chap. Onwards! Slowly… I had settled into a mellow pace, my body had become accustomed to the jolts and efforts of the course. I ceased to do anything else other than pedal, eat a gel, have a sip of water, pedal. Before long though, it was time to start doing mental calculations about how many laps I had to go, when it would all be over, when I could curl up and go to sleep. Rather worryingly it looked like I was maintaining pace well enough to do a 13th lap (not that I was counting laps, or had a clue what my position was – I deliberately didn’t want to know). The end was not yet in sight as I set off for lap number 12. Climbing a short, steep section I heard a loud ping from the rear of my bike and the depressing sound of air rushing out of my rear tyre. Fucksticks, again. A spoke had broken, which must have then dislodged the tubeless tape and caused an air leak that wasn’t going to seal. Quickly, I wrapped the broken spoke around its neighbours, and set about popping in a spare inner tube. All was well, until when going to inflate the tube with a CO2 cartridge, the adapter’s seal broke, sending the all important pressurised gas escaping into the cooling night air. Swear words were uttered. After replacing the rear wheel, I started a slow and depressing jog, moving out of the way for riders still rushing to make it back in time for cut-off. 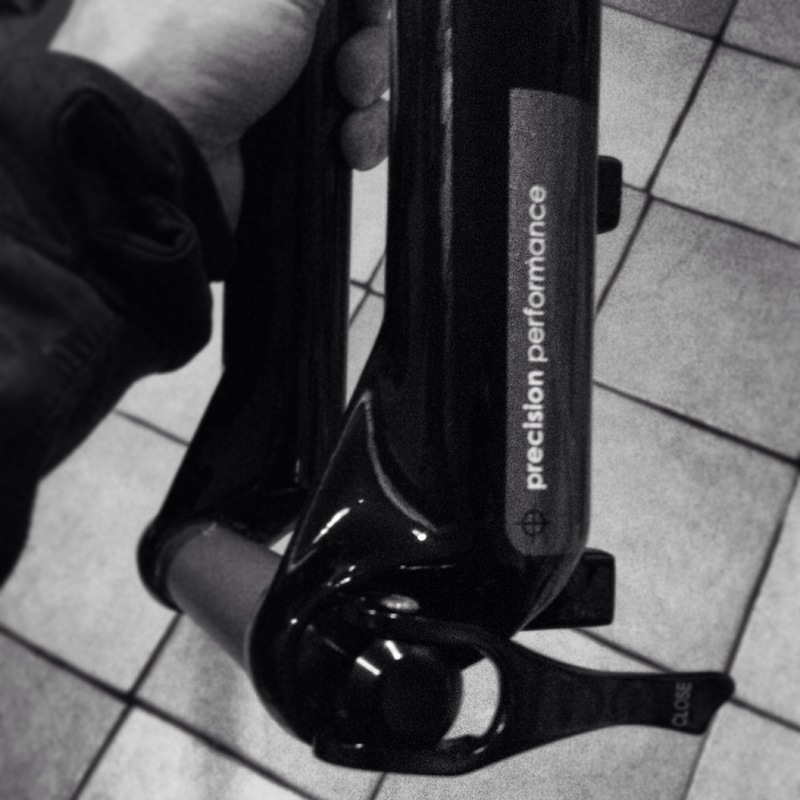 After a mile or so, an amazingly generous guy stopped and lent me his inflator. (If you happen to be reading this, please get in contact. At the very least, I’d like to send you a replacement cartridge). Back up and rolling – sort of. With “not many” psi in my tyre, I tentatively continued, wincing every time I passed over a root or rock. Only three miles to go. Then my front light died, abruptly. I haven’t ridden in the dark since the spring, so the battery had been sitting unused for a number of months. It hadn’t even crossed my mind that I should probably charge/discharge the battery once or twice before relying on it to last 4 hours or so. Oops. At least I was riding slowly enough that my helmet light sufficed for the remaining few miles. Then, it was over. A strange finish. I was fatigued, but not exhausted – partly a symptom of having a physically less demanding final lap. Glad it was over, happy to be in the company of great friends. Well done to all of the Garage Bikes riders for their efforts, but especially to Ali and Sarah, who grabbed 3rd spot in the women’s pairs category. An amazing effort, especially as Sarah’s “one last lap” when she was feeling rough was enough to take them on to the podium. Thank you again to Garage Bikes for the entry and the support, and to Kinesis Bikes for the excellent FF29 frame, which was the perfect race bike through the twists and turns of the course. The lists are long. A couple of years ago, I’d got to the point where I could almost pack for a 24hour race without thinking about it. The same stuff went into the holdall a few times a year. I knew what I’d want to wear, what I definitely wouldn’t, what was worth bringing just in case. I’m not just out of practice with packing. More importantly, I’m out of practice at racing. Frankly, I’m “out of practice” at riding for longer than a few hours. Broken bones last year, and much more important things this year have meant that I haven’t had the opportunity or desire to train or race. Rides became too precious to be about training, fitness, targets, goals (not that they ever have been for me, really, but entering a race certainly creates an increased focus and intensity to my riding). Rides were rides for the sake of them. The best kind of riding. Fast when I wanted them to be, about the company when they could be, about the solitude when I needed them to be. There is a part of me that I have been ignoring, though. The part that needs to push and challenge myself. The part that needs to test what potential I have. The last 8 months have brought more challenges than I ever thought I’d face in my life time. Real challenges. Life. Riding bikes is just riding bikes – whether it is at speed, set against the desire to be faster than other people and the clock – or whether it is a grabbed moment of gratification before a day in front of the computer screen. Perhaps I’ve missed the luxury of the gratuitous challenge, though. Perhaps I’ve missed setting a goal that means nothing at all, other than something to me. Playing a game with the lowest risks going, even if it feels like the exact opposite while wrapped up in the experience. 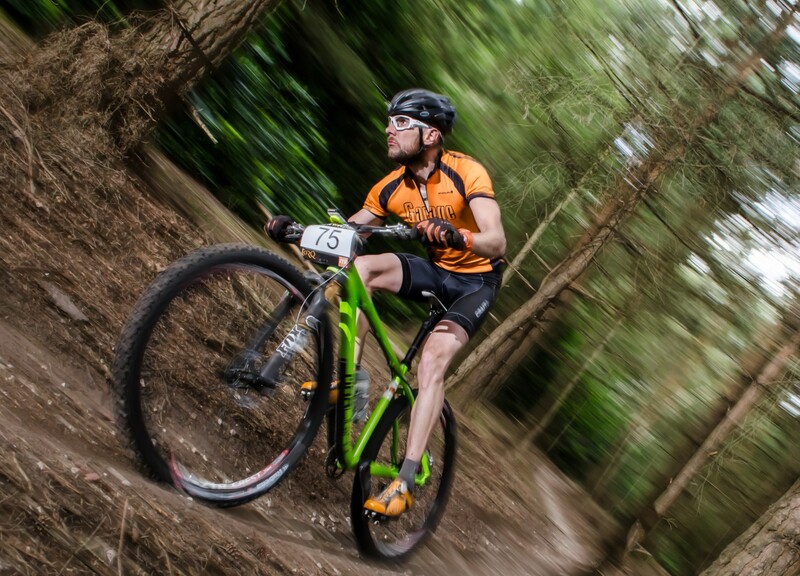 So… the WEMBO 24hr solo race entry has gone in. Before then though, I have Torq 12:12. 12 hours of solo riding from midday to midnight. Not easy, but achievable. A challenge, for which my goals are modest – to finish, to spend as much of the time on my bike as possible, to enjoy as much as I can, to embrace the suffering and pain – to remember it is a luxury that I have chosen to put myself through. It’s an honour to pull on the Garage Bikes kit and swing my leg over the Kinesis FF29, to stand on a start line. Both have offered incredible support over the last few months. True friends – in life, not just the game of bike riding. The “satsuma army” will be descending on Minley over the bank holiday weekend… Garage Bikes teams out in force, with Al wielding the spanner as required. Look out for us on course, and give us a shout. I feel like now is the right time to write a blog post about why I am not writing about the Highland Fling, or the Highland Trail Race, or any of the other things I expected to be doing this year. The people who are important already know, for those of you who don’t, I’m sure you appreciate that plans and priorities change. While I hold running, riding, being outside dear and close to my heart, racing isn’t life… it’s one of those nice indulgences that we can participate in when the important stuff allows us to. As it has been, Important Stuff means being close to home and the ones I love for a while. It would be untrue for me to claim that a part of me isn’t yearning to be out there, participating (despite, at the time of writing, the Highland Trail Race entering its fourth day of bad weather and general hardship which has led to a lot of strong riders bailing). However, there is no regret, no sadness. I have a little motto that I repeat to myself at the moment. I tell it to others. I believe it, most of the time. Every run, every ride, every sunrise, every sunset, every raindrop, every breath that is taken outside, every quickened heartbeat, every moment of clarity, every moment alone, every moment with Someone, every new experience, every view earned, every word read, every friend made, every friendship sustained, every kiss, every “goodnight”, every “good morning”, every smile, every tear, every bluebell, every corner railed, every puddle splashed through, every night spent outside, every return back Home, every crash, every mechanical, every mistake, every effortless stride, every hard-fought footstep, every blue sky, every cloud, every silver lining, every thunderstorm, every moment of calm, every week, every day, every hour, every minute. Give me trails over pavement. Irregularity over consistency. Rough over smooth. I live in a city though. If I want to run from my doorstep, or my office, at least part of that run will be on tarmac, flagstone, pavement. I’m sucking air in. Filling my lungs. It isn’t enough to sustain the pace that I’m turning my legs over. It doesn’t matter, I’m near the top of the hill. While the pavement doesn’t have the rocks, mud, gullies, rises and irregularities of a trail, it isn’t uniform. I can feel the minor imperfections through my minimalist running shoes and adjust my body to absorb them. All it requires is the most delicate, subtle of movements. A small twist of the hips, throw my hand out a couple of inches further, a measured shortening of my stride. I’ve run too hard to be truly fast. I’m at level of oxygen-debt fuelled lactic haze that means I’m no longer efficient in any kind of way. I’m bones and jelly. I don’t drive forwards, I just fall into my next step. I’d stop, but I think it would take more effort to engage my muscles to put on the brakes than it does to just keep putting one foot in front of the next. Uphill becomes downhill. It always amazes me how quickly that self-generated hell dissolves. Strength returns. I consciously try to not over stretch my stride. It is tempting to slap my way down the hill in long, lazy leaps. My speed increases, then again, until I’m at terminal velocity as the gradient bottoms out before the final climb home. I come to a near halt as I try to break free of gravity. We were working so well together seconds ago; now it just wants to hold me back. Turning on to my street, I wearily allow myself to slow to a stop. After shallow, grasped for breaths return to regular, deep, luxurious lung fillers, I open the front door, fill a cup with water and return to the front step. Clumsy fingers prise apart the double knots in my shoes. I feel in shock. I don’t feel fit, or healthy, just abused. I also feel deeply lucky. The last 40 minutes or so haven’t been hardship; they haven’t been a chore, or a burden to bare. They have been a privilege. I am fit and healthy enough to run when I want to. To run hard when I want to. To play games, to train my body, to free my mind, to escape. I can choose whether to put myself in pain, or to ease off. I am free. Every single run, every ride, every day is precious. A light frost clings to the rooftops and car windscreens. Low mist shrinks the world. Sounds are muffled. Sharp edges of the city are smoothed into soft focus. The relative quiet amplifies my own noise. The crunch and squeak of metal cleat against flagstone. The reassuring click of that cleat into its home on the pedal. Tyres crunching over eroding tarmac. No time to ride anywhere other than straight to work. Straight down the hill. Cold burns my fingers through neoprene gloves. My right eye streams as cold air sneaks round my glasses. Legs move quickly to keep pace with the fixed rear wheel gathering speed. Arriving into the city centre, I glimpse my reflection in office windows. Fluorescent shoe covers luminescent, contracting against the monochrome morning. Black leggings accentuate thin legs that still show signs of doing more running than riding over the winter. I flash past, now looking into a butty shop. Steamy windows and bacon smells. Despite being tired, my body is not. It could offer so much more if I gave it the chance. Legs rested after a day of train travel yesterday feel light. I want to keep on riding, to stay out for hours. I want to stay in my silent world. I pull up at the last set of traffic lights before work, lazily track standing for the couple of seconds before they change. Do I drag out my last few hundred metres, saving each last second? No, from the standing position, I strain against the bars, throw the bike left, then right, I roll over the heavy gear. The bike pendulums while my head remains still, staring at the tarmac immediately in front of my wheel. Slow, powerful revolutions become quicker, then quicker again. What felt like a tall gear when I set off is now being span out as my body begins to wake up to the exertion. 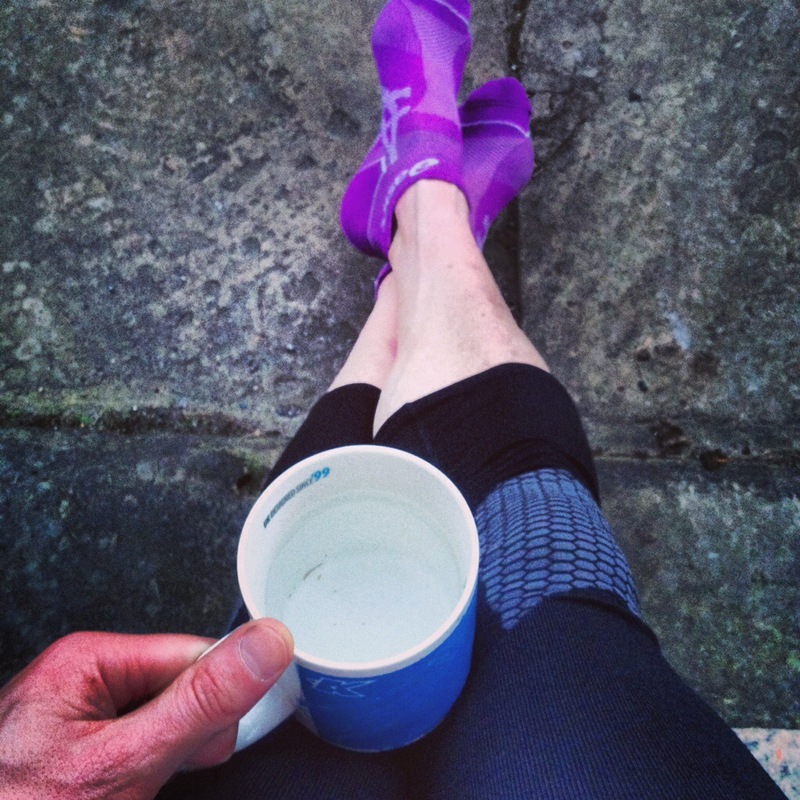 My skin prickles, I take in a couple of gulps of air and just as my legs start to really complain, I am already engaging different muscles, pulling back on the pedals, drawing to a halt. Within 5 minutes, my bike is locked away. I am sat at my desk, waiting for the computer to awake. I make a cup of tea. I scan through unread emails, while still wearing my lycra. I feel as alien in this world as I look from the outside. Ever since I’ve had the Kinesis FF29 (about a year now), I’ve paired the frame with a set of Kinesis IX rigid carbon forks. I originally intended to use them for long XC adventures and bike packing, and swap over to suspension at some point, to create a more all-round trail bike. I never quite got round to making the switch. I love the direct feel of the rigid forks. I love that as I pick up pace through tricky terrain, it feels as though I am juggling daggers. Pick the right line and all is well, make a mistake and… well, it’s best not to make too many mistakes. When combined with decent volume tubeless tyres, the carbon fork also had a nice degree of compliance, meaning that trail buzz is smoothed out and the ride is actually nicely comfortable, if not plush. Obviously, there is a tipping point. Quick, rough descents eventually become a bit tiresome – a difficult balancing act between maintaining pace, skipping across obstacles and clattering over/through stuff, scrubbing speed to maintain control. I was re-introduced to arm pump at the bottom of a few long hills. My original forks were QR, and while being excellent, possibly suffered from being too flexible; there was a bit of “flutter” under hard braking. Nothing that couldn’t be lived with, but I was excited to see that Kinesis now have a 15mm thru-axle version of the IX. I’ve now done a couple of rides on the new fork – both a few hours long and over a variety of terrain. The new fork is noticeably stiffer. Brake flutter has disappeared, and tracking over rough ground feels even more precise. Theoretically this should mean that the fork is less comfortable as well, but I’m not sure if it actually is. The ride quality feels just as good (although I haven’t done a back to back test to be able to say with any confidence). I can’t see the FF29 getting suspension forks any time soon. I love the bike as it is. I love the light weight, love the single gear, love that it is ultimately compromised for much of the riding I do. The whole package though means that it excels at the niche I’ve built it for. And when I take it out of that comfort zone, it is all the more fun (at least until my forearms begin to burn).